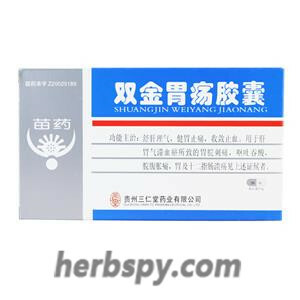 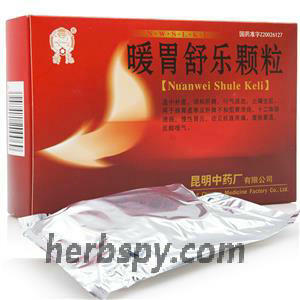 For stomache,stomach cramps,acid reflux,stomach and duodenal ulcers. 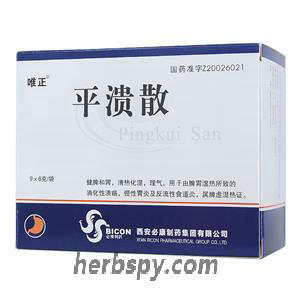 Relieving soreness and pain,treat ulceration and promoting granulation. 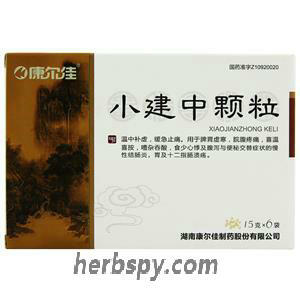 Arc Shell,Egg shell,Dried Tangerine Peel,Dried alum,Fruits of Polygonum orientale,Pearl Powder,Hairyvein Agrimonia Herb. 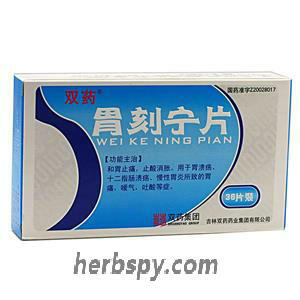 Capsule, the contents are grayish white particles; the taste is slightly bitter. 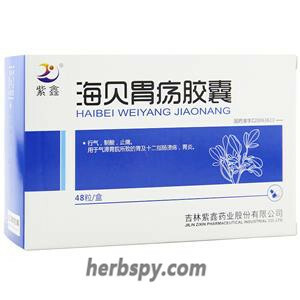 For oral use after meals,2 capsules thrice daily or by medical ordor. 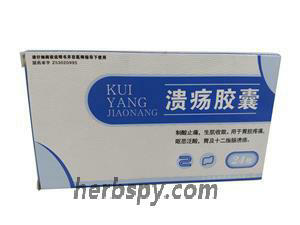 Stage Food and Drug Administration Approval number:Z53020995.